LWPI follows the Department of Education’s strict guidelines outlined by RTI International for the Department of Education contract EDVAE10O0102. LWPI stands by our process for curriculum development, for workforce development and vocational studies, by integrating hands-on learning labs and workshops with real-world “on the job” internships. 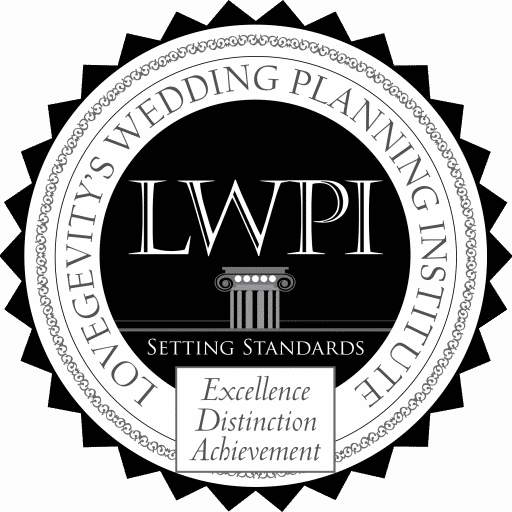 LWPI programs focus on providing the core principals of alignment, collaboration, accountability, and innovation in Wedding and Event Design Technical fields. Alignment: Working directly with both corporate and social industry to identify needs and customer demand. Collaboration: Collaborating with industry leaders, professionals and stakeholders to create curricula and skills training programs for workforce development. Accountability and Innovation: Implementing innovation and technology with real-world application and hands-on training to facilitate learning outcomes, through multi-level assessments, and successful job placement. Partnered schools operate individually and uphold strict cancellation policies. Most offer an add/drop period of 1 week, however, others offer no add/drop period at all. Please review the individual add/drop cancellation policies of the school you are attending. Tuition for any and all online programs offered by Lovegevity’s Wedding Planning Institute are NON-REFUNDABLE once a student accesses the online course. Withdrawal from any program must be received in writing at Lovegevity’s Wedding Planning Institute admissions office within three business days starting from the time the student enrolled in order to qualify for a refund. Students participating in a payment plan are still responsible for the remaining balance at the time of cancellation if a student has accessed the online course materials.